BURN NOTICE has returned to our screens – and not a moment too soon (Thursday at 10 p.m. has become a virtual wasteland, since THE MENTALIST is total crap this season). Welcome back, Michael, Fiona, Sam, Maddie and Jesse! 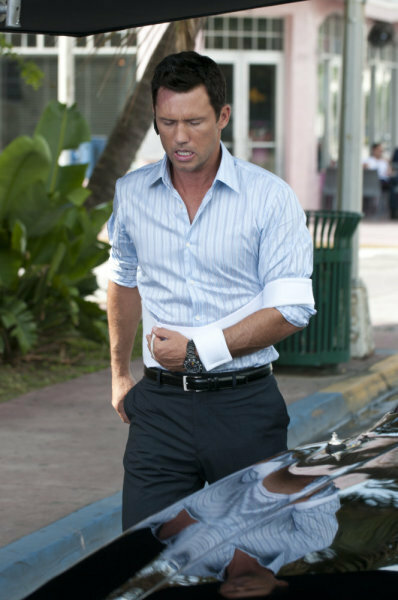 If you recall, BURN NOTICE left us with a cliff-hanger back in August: Michael (Jeffrey Donovan) had been shot through the chest by Jesse (Coby Bell), who was still smarting from the revelation that Michael burned him back in the season premiere. The season’s purported Big Bad, John Barrett (Robert Patrick) was shockingly killed, and…someone…walked off with the briefcase containing the NOC list that identifies everyone involved in burning Michael. 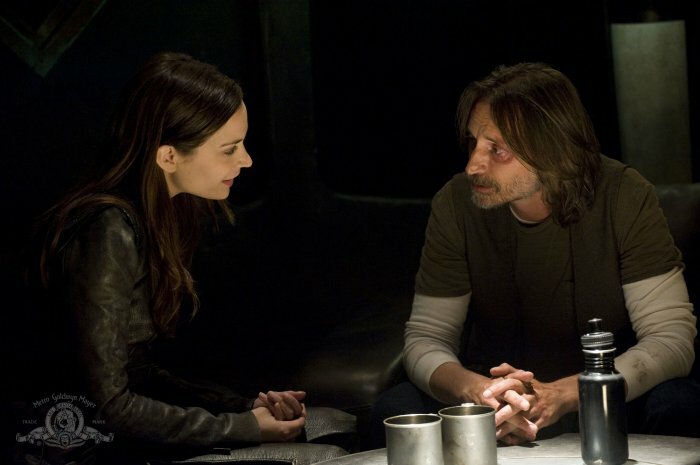 The title of this installment of STARGATE UNIVERSE probably should have been “The One in Which We Finally Learn What It’s All Been About (so far,” or maybe “The Fit Hits the Shan,” because this is the episode when we found out what Destiny’s mission is. Rush was busted and had to admit he’s been working on the bridge for weeks now. And Dr. Amanda Perry made a return visit. And Eli got busy with Ginn. Let’s take that last one first, as the others are all tied together. Poor Eli (David Blue), devastated by recent events during which redheaded bombshell Chloe (Elyse Levesque) made it clear that he will never escape the Friend Zone (in fact, she would literally rather kill herself than be with him), found a kindred soul in Lucian Alliance techie Ginn (Julie McNiven), another ginger beauty. One who actually understands and admires Math Boy – one might almost call her a groupie for his equations. After all her shameless flirting Eli finally opened his eyes. Good for him. Good for both of them.